Four years ago I discussed the Kurds with my Christian neighbor. What a horror show! The role of Turkey is just now becoming evident. They want the U.S. to take out Assad in a chess game that is a stalemate, but for the fact ISIS is winning on the battlefield with a military force that is very willing to fight when no one else is, but the Kurds. ISIS beheaded three Kurdish women fighters near Kobani. Were they three fighters CBS did a segment about, and I posted on? For two days I have been preparing post on Shame-based religions that make the shaming of women the cornerstone of their belief system. I have been at this for twenty-seven years. 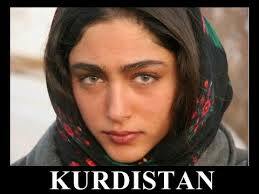 We must arm the Kurds with tanks and other heavy weapons because these are the only people who want to fight ISIS. BEIRUT – Activists say Islamic State militants have beheaded nine Kurdish fighters, including three women, captured in clashes near the Syria-Turkey border. The Britain-based Syrian Observatory for Human Rights said Wednesday that the nine Kurds were captured during fighting over the northern Syrian town of Kobani, also known as Ayn Arab.